People who aren’t known for something haven’t done anything. “How to Build a Brand,” was the title we settled on for a recent presentation. It included social media content and making money using your online presence. On the negative side of brand building, I know leaders who are “save the day” leaders. They love being the hero. Others are backstabbing asses. Still others feel threaten by the success of those around them. What you’re known for determines the way people talk about you. The way people talk about you is your brand. You’re known for what you contribute even if it’s negative. Ultimately, positive brand building is about giving not getting. 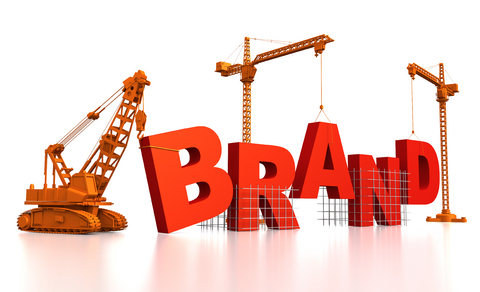 Building your brand is about bringing value. Repeated behaviors create brands, negative or positive. Who am I? You must know who you are before you can get where you want to go. How do I want to be known – in ways that align with who I am? These questions apply to both individuals and organizations. Brand building has a slimy reputation because of manipulators and facade builders. Forget it! Be who you are or you’ll empty your soul and destroy yourself with stress. I’m a reformed people pleaser, I know. Leadership brand building is contributing positive value, authentically. There’s more to leadership brand building than five questions. What other factors contribute to effective leadership brand building? Liked so much I’ve asked my friends to help me answer those questions. They’re good ones, ones with answers that are bound to challenge because some of the answers might not be ones that we want to hear. I find it hard to answer even the first one without resorting to labels – I’m a teacher, I’m a speaker, I’m a wanna-be businesswoman etc. I think I’m great at encouraging and facilitating, but I’d love to know what my club thinks. The rest will require much further thought, thank you so much for the stimulation! Thank you for sharing your own journey with us. There’s something encouraging about seeing the way others are growing. I wonder if the “who am I” question should also include something about the things we love doing? I completely agree with this concept. I believe that one missing element is ‘what is the gap you could fill’ – in addition to the rest. Also – begin with the end in mind. How do you want to be looked at later? Compassionate? Smart? Efficient? etc? Chose words both written and spoken as part of your everyday language that plant images in the mindes of the people you encounter – those words will become associated with you if you are consistent. While being a generalist is at times good – if you are knowing for something specific you may get more traction. Don’t be afraid to commit. I agree that people are known for what they have done. There are two categories of people who brand themselves: by words or by works. Those who brand by words create faster impression than later. But this impression does not stay longer unless they show work. Those who brand by work may take more time to create impression, but it stays longer and it is more powerful. Generally, marketing people come under first category. By putting effort to show their work is greater advantage for them. But the most important thing to brand is to understand strength and potentials. One cannot succeed everywhere on everything. So, one need to analyze, introspect where he or she can excel and do best. So, being yourself and creating identity by your own is the key mantra. Those who try to be somebody else may create impression in short term but fail to create lasting impression in longer run. Howdy, I do need to let you know your brand photos are inconsistent. Seth Godin says to use one photo of yourself for everything. Your face is your logo. May I suggest you get rid of the hunched full body sorta scary photo you currently use in the header and use the fun, friendly photo at the bottome of this post? Thank you. A very good post – Of course we already have a brand but I find it more fruitful to focus on an inner vision of who you want to be now and tomorrow. Because we are what we are – and this we are. A picture of yourself in near and distante future and even a picture of who we want to be today. What we see is what we will get. Scary but I have found this very true. For better and for worse. It is fortunately possible to have two thoughts in the head at the same time. As a christian I like to think that one picture is how God sees me and an other is all the mistakes I have made. It is important to leave the past and the mistakes of yesterday behind and press on to a future vision of who I will become. I also find it useful to quite concrete. We all fail – the difference is our ability to get up again. This will create our posthumous as I see it. We say: “you are the blacksmith of your own success”. Cruel but also very, very liberating when we see the potensial in the saying. Wich you all a wonderful weekend! Here is a post I can really relate to. I like it. Too many leaders today worry about their legacy rather than their purpose. Managing your brand is an important strategy, but being a leader for the sake of preserving or building lasting institutions is better. Leaders should focus on emulating the best leadership traits including honesty and humility http://wp.me/p2575C-80 as part of their overall brand strategy. The way people talk about you is your brand. Awesome concept! Definitely food for thought. I liked reading each word of the contents of your post today. Real good thoughts which convey a lot. You are known for what you do and how you do over a period of time. In other words, you create your own brand with consistent good efforts and your behaviour supports your claims. I liked your firm statement about ‘Competency creates positive brands’. Value-addition is the key factor to build your own image and influence others to be with you for your company or society based goals. Continuous innovation with collaborative efforts put you under a trusted leader category. Self-motivation with day-to-day satisfaction will make you very confident and add to your own charisma and character. Successful leaders do what they feel good for the benefit of others and are hardly bothered about what others may feel about them and their work They are appreciated and recognized only on their achieveing success. Liked your motto. I strongly believe that things work well when you are honest and sincere to whatever that you do and genuinely help others. Good leaders follow such principles and build on their own successes taking the like-minded people together for achieving bigger goals. Leadership brand makes a lot of sense. Leaders have to deal with a variety of situations so one leadership style is often insufficient. However, the brand can encompass those styles. I like to say that brand is the customer’s expression of your business plan. Dan, what is a “reformed people pleaser”? I used to live to please others rather than myself. For clarification, serving others is still a driving force in my life. But, I don’t need everyone’s approval to follow the good that is in my heart. My question is, how do you change a brand? Our church has a “brand” that we’d like to change. How does that happen? 1. Who should be asked this question, the bosses, reportees or peers? 2.When should you ask these questions? Scheduled basis or random basis?